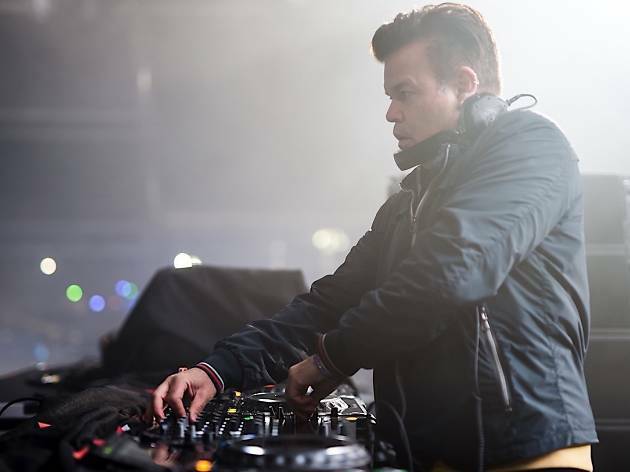 British DJing legend Paul Oakenfold has never been shy in proclaiming his distaste for interviews – the 54-year-old is a man who has always let his work do the talking. 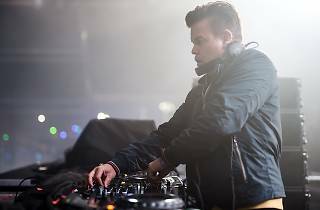 It’s a testament then to his love for Hong Kong that interviewing him proved a joy, the DJ’s enthusiasm for returning to our city when he plays here next – on April 21 at W Hotel – shining through. And it’s clear in talking to him that playing here throughout the years (and at some watershed events) is something he’s extremely proud of. You’re a frequent visitor to Hong Kong, what is it that draws you to the city and appeals to you so much? Hong Kong is one of my favourite cities in the world. Been going there for many years. I even played during the handover when Britain gave Hong Kong back to China! Have you noticed a shift in people’s attitudes towards dance music in this part of the world throughout your visits? There’s been a big shift in electronic music. It’s truly a global sound. We even had the first Electronic Music Awards show last year in Los Angeles. The industry is growing more and more popular in places like China and India. We’ve interviewed people who’ve only been DJing for a few years and they seem genuinely burnt out, not sure what to say and even more unsure of what they’re doing. How have you survived? It’s important to embrace change. You may not always like it, but you need to be aware of trends and be able to stay current. You’ve achieved so much throughout your career and have been recognised thusly. What still excites as an artist or even as a fan of music? I enjoy pushing the boundaries of electronic music. I always have and am very lucky to be part of a wonderful community. I love expressing myself through DJing and making music. It seems now with the proliferation of and sharing of electronic music, people are turning more and more to the legends of dance music; the people who were there before everyone with a laptop started dabbling. What’s your take on that and do you think it’s difficult for new DJs and producers to make their mark with the current level of music saturation? The true art of DJing is disappearing as technology has made it very easy to DJ. When we started club culture 30 years ago, it was very much an underground scene and you did it purely for the love of the music. There was no money in it. When we got word you were coming to town, it was prefaced with the subject line ‘the world’s number one superstar mega DJ’. Are you comfortable with that kind of tag, even though you’ve more than earnt it? And do you think such plaudits bring with it a certain a kind of pressure? Even though I’ve been called this a few times, I take it with a grain of salt. There are some fantastic DJs out there that I am personally a fan of and mean a lot to the community and the scene.